Dr. Keyur Panchal is an experienced Psychiatrist in Thaltej, Ahmedabad. He has been a practicing Psychiatrist for 11 years. He is a MIPS, DPM, MBBS. 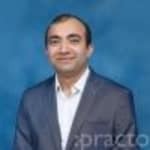 He is currently associated with Dr. Keyur Panchal Clinic in Thaltej, Ahmedabad. Don?t wait in a queue, book an instant appointment online with Dr. Keyur Panchal on Lybrate.com. Lybrate.com has a number of highly qualified Psychiatrists in India. You will find Psychiatrists with more than 42 years of experience on Lybrate.com. You can find Psychiatrists online in Ahmedabad and from across India. View the profile of medical specialists and their reviews from other patients to make an informed decision. Nicotine Dependence - How To Treat Smoke & Smoke Less Addiction? Smoking is a habit that can easily become an addiction. There are two aspects to this; the physical addiction of holding a cigarette in your hands and the addiction to nicotine. Most people believe that by substituting cigarettes for other forms of nicotine, such as chewing tobacco or snuff, one may wean oneself off cigarettes. However, this is not always the case. Nicotine is one of the most addictive substances. It is a colourless, natural liquid that turns brown when burnt. When exposed to air, it emits the odor of tobacco. Nicotine enters the body through the mucosal lining of the nose and mouth or the skin. Depending on how it is consumed, either in the form of cigarettes or by chewing tobacco, it travels through the blood stream, accumulating in the blood and brain. When smoking, nicotine can reach the brain within 10 seconds of being inhaled. On the other hand, when smoked through a pipe, nicotine is absorbed at a much slower rate. This is because it enters the body through the mouth and not the nose. By sharing the ill effects of nicotine with a perosn who is addicted to it, will not inspire him or her give up the habit. The easy availability of nicotine products such as cigarettes and tobacco does not help either. Thankfully, there are a number of psychiatric treatments that can be used to treat nicotine dependence. These include counselling, medication, group therapy, hypnosis and behavioral training. The aim here is to make the person feel more confident of his own ability to stay away from nicotine. In addition to this, the support of his family and friends is crucial. Nicotine replacement therapy may also be used. In this case, instead of smoking a cigarette, the person may be given gums to chew on or a patch that delivers a slow dose of nicotine to the body. The dosage here depends on the amount the person smokes and reduces with time. This can help the person wean off nicotine. However, it is important to undergo this treatment under a doctor’s advice as people may get addicted to this form of nicotine as well. When it comes to nicotine dependence, some people may require therapy for 6 months while others need therapy for longer. Relapse is common and hence provisions need to be made for an efficient support system and a mode to measure progress.